Reusable stainless steel straws are coming into style in a big way across the USA and all over the world! Where is the best place to purchase your next stainless steel straw? Below are some recommendations, and full disclaimer, we also offer high quality reusable straws in our store. Having trouble deciding which straw to buy? See our straw buying gift guide on the best stainless steel straws. Do you want your straws cheap and fast? Consider amazon, with thousands of sellers selling thousands of styles from all over the world. Do you want to personalize high quality straws for yourself or a gift? LazerDesigns, author of this post, offers free laser engraving on all our straws and straw sets. 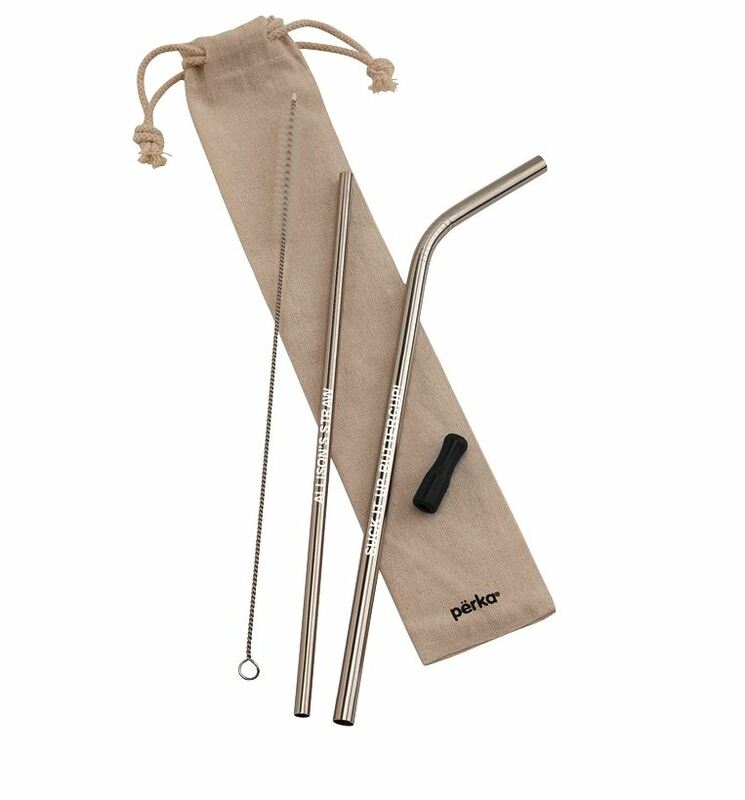 Buy custom metal straws here. Do you want to find them locally? Many stores now sell them, including grocery stores and drugstore chains. This personalized straw set costs $21.55 and includes 2 straws, 1 silicone tip, cleaning brush, pouch and free engraving. You can find great values on stainless straws, especially in sets. How much do stainless steel straws cost? 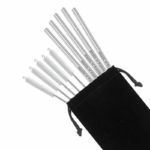 Stainless steel straws cost anywhere from $1.88 when purchased at large quantities, up to as high as $25 to $33 for brand name feature rich straws. You can get a good value buy purchasing stainless straws in sets – often times saving up to 50% per straw or more. Another way to save is to buy in bulk – you’ll see prices on our custom engraved straws go all the way from $33 down to $1.58 when buying hundreds at a time, perfect for party favors, client giveaways or tradeshow handouts. With the increase of reusable metal straws flooding the market, you will see prices all over the map. 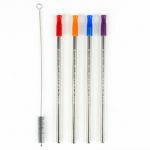 Best selling straws and straw sets often have a variety of sizes and shapes in the same set, allowing you to try out different types of straws (bent, straight) and widths (narrow, wide) for different drinks. 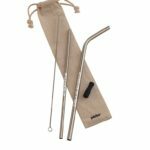 Where do you find the best deals on stainless steel straws? Are you ready to dive into the world of stainless steel straws? Personalize your reusable straw today! 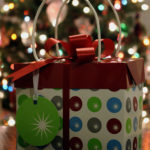 Or read our reviews on the best stainless straws gift guide. 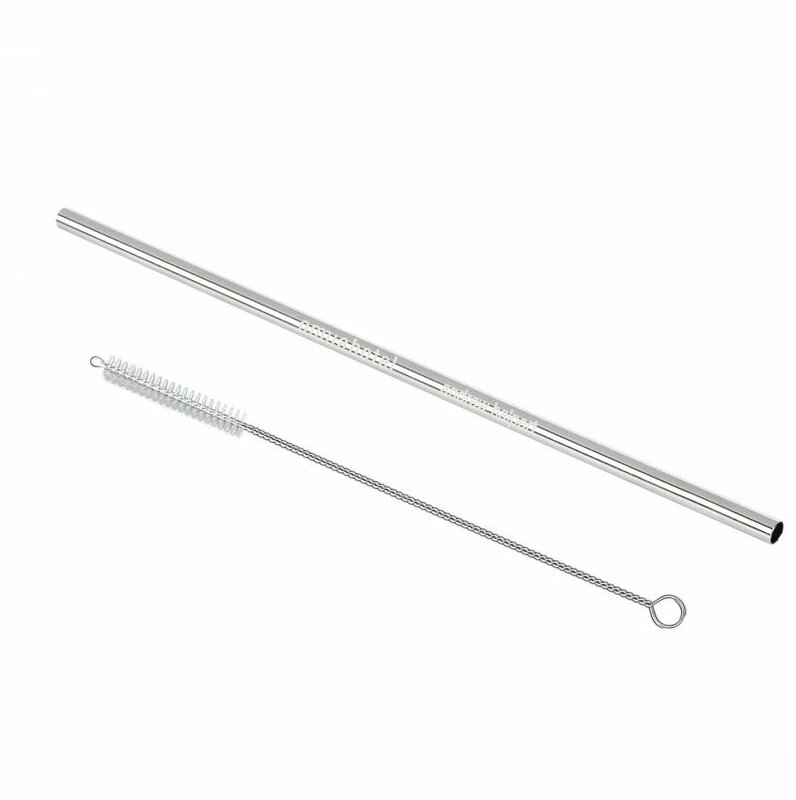 Previous Previous post: What are the best reusable stainless steel straws?